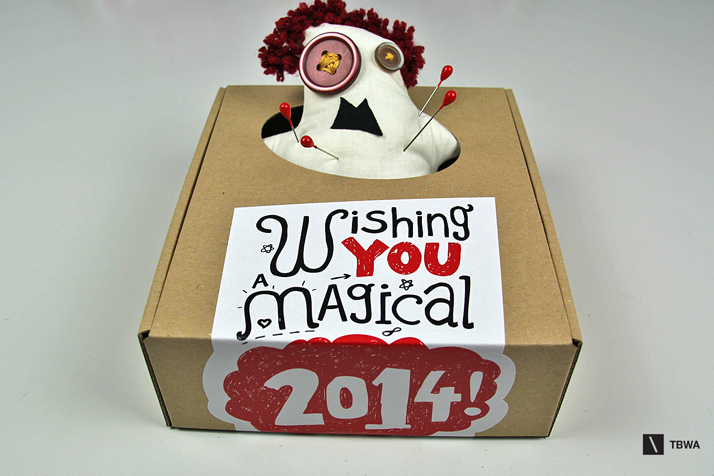 Exorcise the evil spirit of crisis and initiate a better life cycle in the New Year. 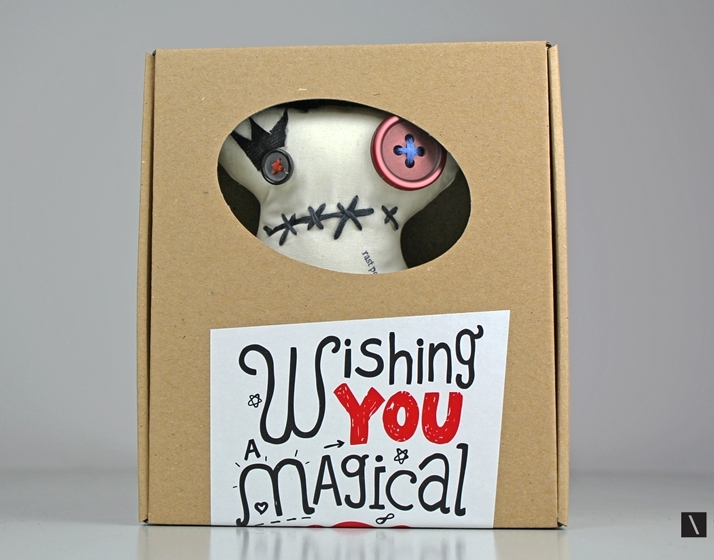 White voodoo magic might help, while it most certainly would not do any harm. 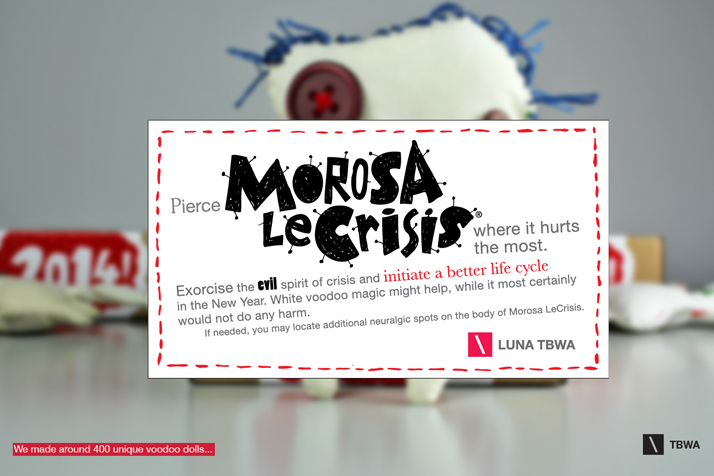 If needed, you may locate additional neuralgic spots on the body of Morosa LeCrisis. 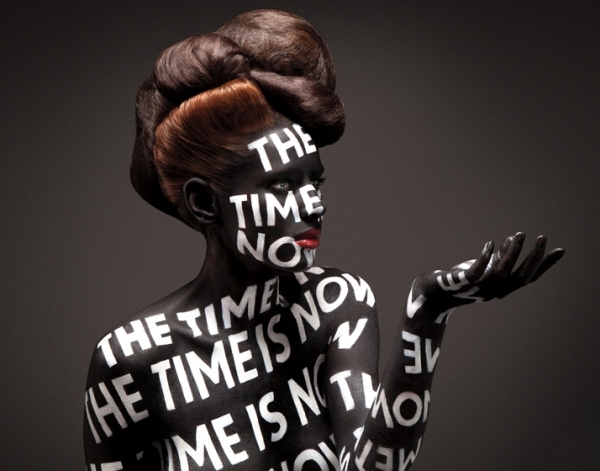 "The way we figured, it's not enough to simply wish a happy new year any more ­ we needed a way to empower people dear to us to actively fight off bad luck and sentiments induced by enduring crisis. 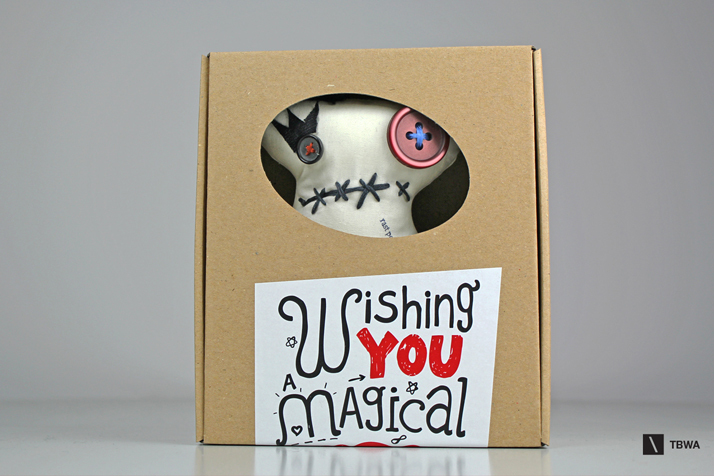 Naturally, we reached for some white voodoo." 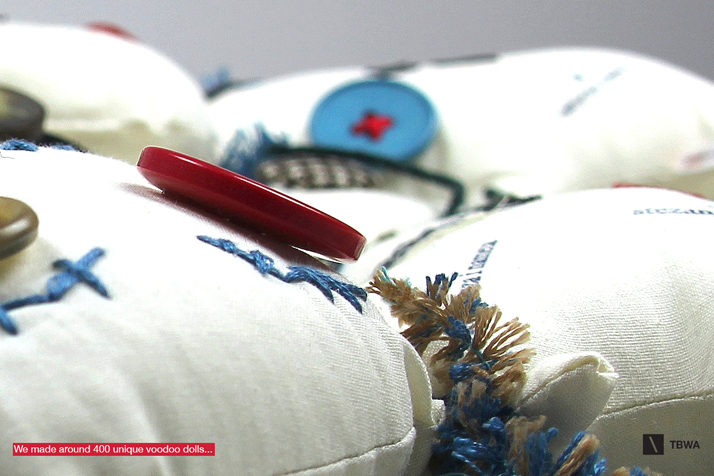 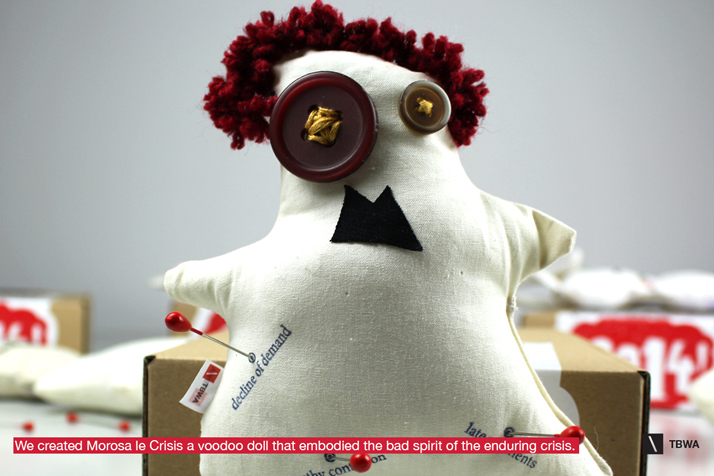 "We created Morosa le Crisis ­a voodoo doll that embodied the bad spirit of the enduring crisis. 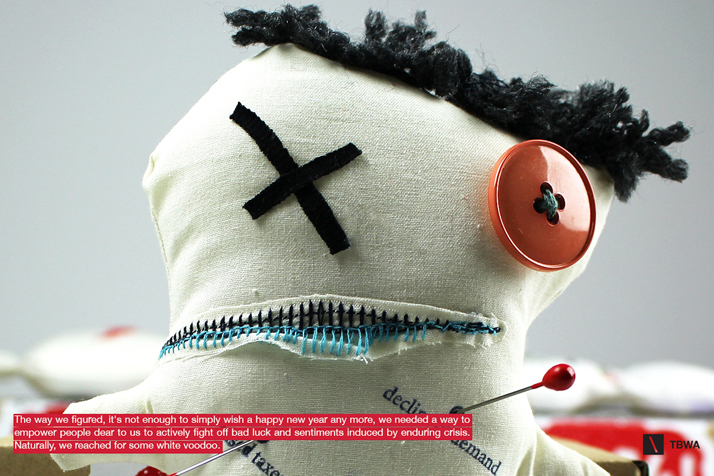 We made around 400 unique voodoo dolls and indicated on them neuralgic points for all the things we wanted to fend off in our society: belt­tightening, delayed payments, bid rigging, increased taxes, spreading of apathy, flourishing of mediocrity etc. 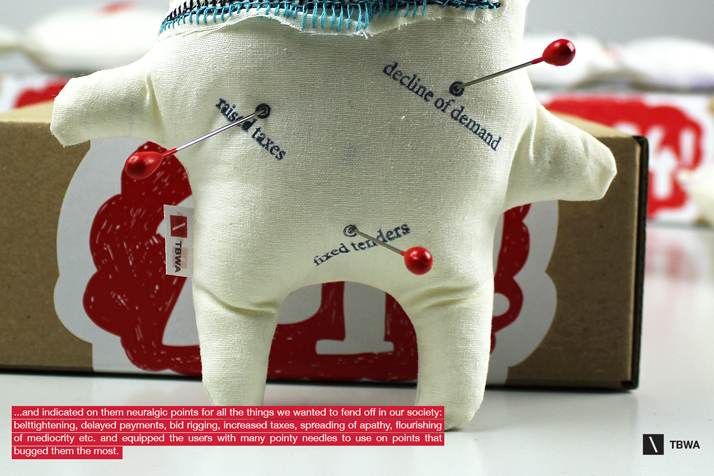 and equipped the users with many pointy needles to use on points that bugged them the most."